Middlebury voters on Tuesday gave the go-ahead to a controversial town building project that ignited debate for months in Addison County's shire town. By a margin of 915-798, voters approved a plan to construct new town offices and a recreation facility. But this wasn't your run-of-the-mill building project: The proposal, which had the backing of the majority of Middlebury's selectboard, calls for a complicated land swap with Middlebury College and generated considerable debate before Town Meeting Day. The town is handing over the location of its current town offices, in exchange for property a stone's throw away at 77 Main Street. The town will now take out a $6.5 million bond to fund construction of new town offices at 77 Main, as well as new recreation facilities on Creek Road. But the town won't be on the hook for the entire amount. The college is promising to pay $4.5 million of the debt, and to chip in an additional $1 million for relocation and demolition costs. 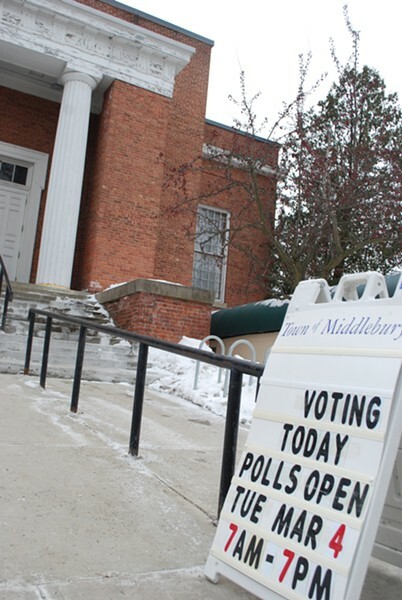 Also on Tuesday, Middlebury voters ousted selectman Craig Bingham from the seven-member board. Bingham was the lone voice of dissent on the board against the town office plan. It's a plan that supporters spun as a win-win for the town and college; the college will turn the current site of the town offices into a public park, which will double as a more attractive entrance to the college campus proper. The college's financial contribution, in turn, is subsidizing the cost of new offices and rec facilities that officials say taxpayers couldn't otherwise afford. The current town offices are housed in a building originally constructed in 1911 as the town high school. The building was severely damaged in a 1954 fire, and town officials say the building is inefficient and doesn't meet modern health and safety standards. Information put out by the town says that, according to a 2012 study, renovating or building from scratch at the existing site would cost between $8.9 and $9.6 million. But the "good deal" wasn't without its opponents. The months-long debate spurred any number of complaints. Lawn signs and bumper stickers implored fellow residents, "Don't sell the heart of Middlebury." Opponents of the plan complained that the proposal was essentially a back-room deal, hatched between town officials and college bigwigs, and that Middlebury selectmen weren't giving enough consideration to other options. 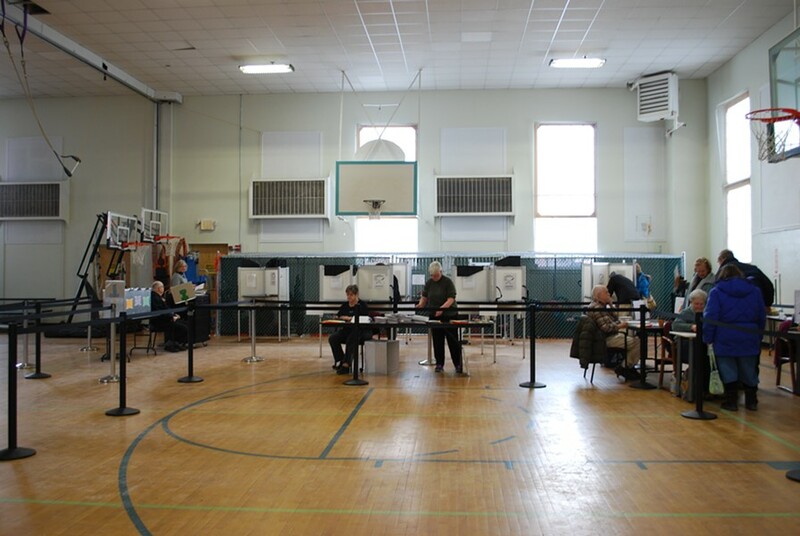 On Tuesday afternoon, the pace at the town polling place — the very gym that will be demolished following the day's vote — was brisk and constant. A quick poll of voters offered a snapshot of the thinking that has divided residents in Middlebury for months. On the one hand were opponents like Ross Conrad, who took issue less with the proposal itself and more with the process behind it. "A small group of people thought this up and negotiated this deal," said Conrad. "There are a lot of other ideas and options that many people, including myself, don't feel have been thoroughly vetted and reviewed." Others, like George Foster, just didn't like the proposal for the new offices. "If you're going to leave [the offices] downtown, you might as well leave it where it is," Foster said. Those voting in favor of the proposal described it, repeatedly, like Tom Nicholson: "It's a really good deal." Barbara Blodgett agreed. "I am for the new building," she said. The new plans "may not all be perfect," she continued, "but Middlebury can't afford it otherwise." Plus, said Blodgett: "I'm really sick of looking at this building." Blodgett will have her way. 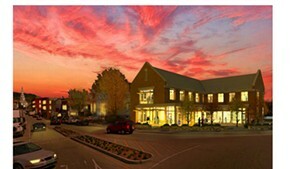 The town anticipates construction on the new buildings will begin in September. The project is scheduled to be completed by August 2015.